PLEASE READ ALL OF THE BELOW INFORMATION. ALL SALES ARE FINAL ON CLEARANCE ITEMS. PLEASE READ DESCRIPTION BELOW FOR DETAILS. This item works as intended, but has cosmetic flaws. Hanger has minor chipping in various areas. Easily create a layered drapery look, or hang signage (such as banners) with our convenient 8 inch valance hangers. 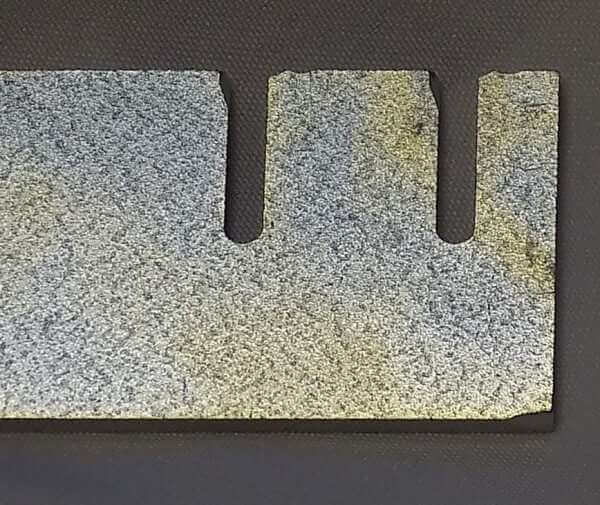 Two Drape Support Rod / Crossbar placement slots allow the second layer to be either 7.5 inches or 8.5 inches in front of the rear Drape Support Rod. 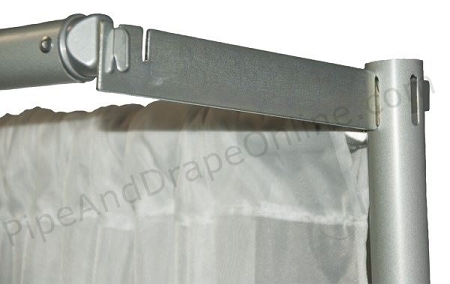 NOTE: this size Valance Hanger will block the side slots in the Upright that it is used in, preventing the ability for those slots to be used for 90 degree angle turns. It should only be used for a straight / linear backdrop. Works with both 1.5 inch and 2 inch diameter Uprights (fixed, break apart, or adjustable). Hooks into an open slot in an Upright for easy hanging of a second Drape Support Rod. Please use no more than 15 lbs. of weight on the newly created "front" layer Drape Support Rod. Quantity 1 = 1 Valance Hanger. Remember that each end of the Drape Support Rod needs a Valance Hanger to hook on to. 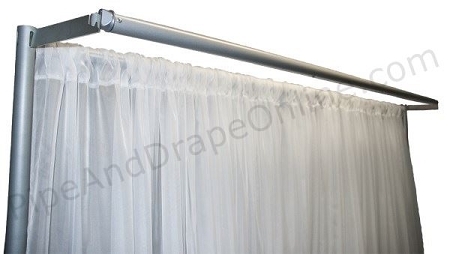 Only one Valance Hanger can be inserted into a single slot on an Upright. These are intended to be used on a single span (between only two Uprights) -- if you are using these across a longer span, the front layer Support Rods would have to be staggered and would not perfectly align across the wider span. We suggest our Double Backwall Hangers for creating a layer across a longer span. *Scratch and Dent: items that have cosmetic flaws, such as scratches, slight dents, and/or other cosmetic flaws but are tested to ensure working functionality in its intended use. Automatic discounts do not apply to Clearance items, and all sales are final on Clearance items. Weight (Approximate, Each): 8 oz.